M3Sat Italy: OB DSNG trucks in Roma and Milano. When you need live coverage in Sports, Entertainment, News and Corporate events, you can count on M-Three Satcom OB and DSNG fleet structure, including a 24/7 booking centre, HD mobile facilities, fibre and satellite capacity for occasional use in every bandwidth and protocol configuration. 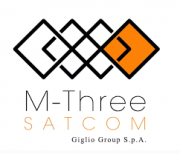 From various locations around Italy, M-Three manages an affordable and flexible OB van and DSNG trucks fleet, configured to support any kind of live events. You can count on a skilled team of professionals for all related activities, from event scheduling and management, system configuration and optimisation, to the complete on field service delivery. In addition the M-Three teleports and MCR support live transmissions with 24/7 troubleshooting service, turnaround and backup.